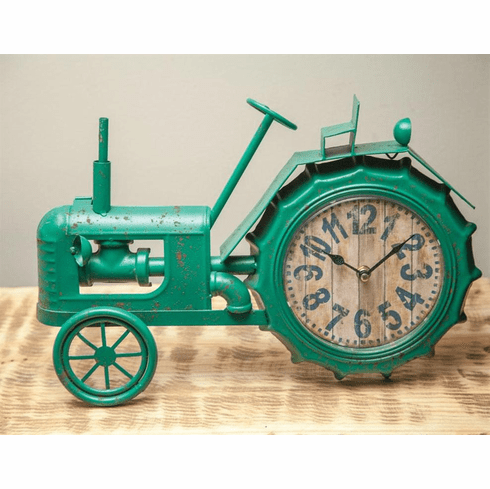 This fun table clock is shaped like a tractor and features a metal, rustic green design. Large Arabic numerals for easy reading. (Also available in red) --> click here.